Today is finally the day Starstruck fans have been waiting for! 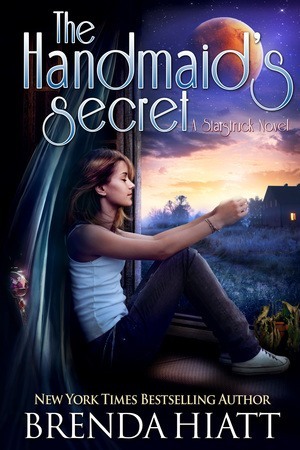 Molly’s long-awaited book, The Handmaid’s Secret is now available at all vendors! Now available at all vendors! Molly has always felt like a Martian misfit, never really fitting in anywhere. Her one claim to importance was being appointed Handmaid to the Martian Sovereign, Emileia. But now that they’re back on Earth, she feels useless even there. That changes when an obnoxious, annoyingly handsome Royal boy arrives in Jewel to steal M away from her soulmate Rigel. Finally, Molly has a job to do! I can’t wait to hear what everyone thinks of Molly’s story! I’ve been wanting to tell it for a long time and I’m so, so happy I can finally share it with you all! Be watching for some more fun stuff over the next week or two, like a quiz to find out which Martian fine you belong to! (Those of you who subscribe to my newsletter or follow me on Facebook may have already seen this. It’s fun!) I’m also doing a series of Facebook Live videos with giveaways, so I hope to see you there, too!